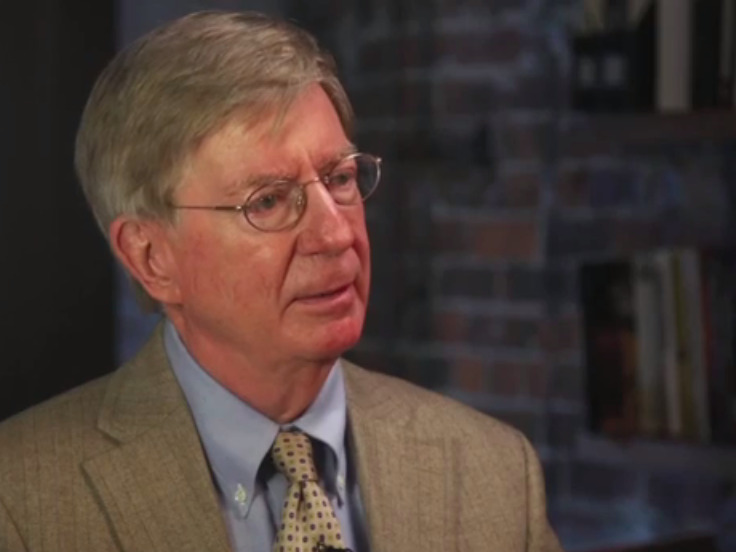 Conservative columnist George Will said Friday that he’s leaving the GOP over Donald Trump’s rise to becoming the party’s standard bearer. Will suggested that a Democratic victory in the presidential election in November would be preferable to Trump winning the White House. During a speech at a Federalist Society lunch, Will lamented what has become of the Republican Party. “This is not my party,” he said, according to PJ Media. Will also slammed House Speaker Paul Ryan for endorsing Trump, saying a Trump presidency without opposition from a Republican-led Congress would be worse than a Hillary Clinton presidency with a Republican-led Congress. Will joins the ranks of other prominent Republicans who are distancing themselves from the party and its likely presidential nominee. Mitt Romney, the Republican nominee in 2012, has been speaking out against Trump for months, and even Ryan has criticised some of Trump’s more controversial pronouncements. Trump has said he’d prefer the party to get behind him, but doesn’t seem to be too concerned about his chances in the election if he’s left out in the cold by other Republicans.